KITSILANO 4 bedroom, 2 bathroom character home plus 2 bedroom fully developed basement accommodation (to help reduce those mortgage payments) located on a beautifully landscaped, serene and quiet 38' x 122' private lot with RS-5 zoning which allows for legal basement accommodation as well as a "lane house". This bright and cozy home has an extensive list of features and upgrades. Bonus is the existing garage/studio with skylights (perfect for the hobbyist!). Walking distance to all levels of schools, shopping, parks & bus transportation. 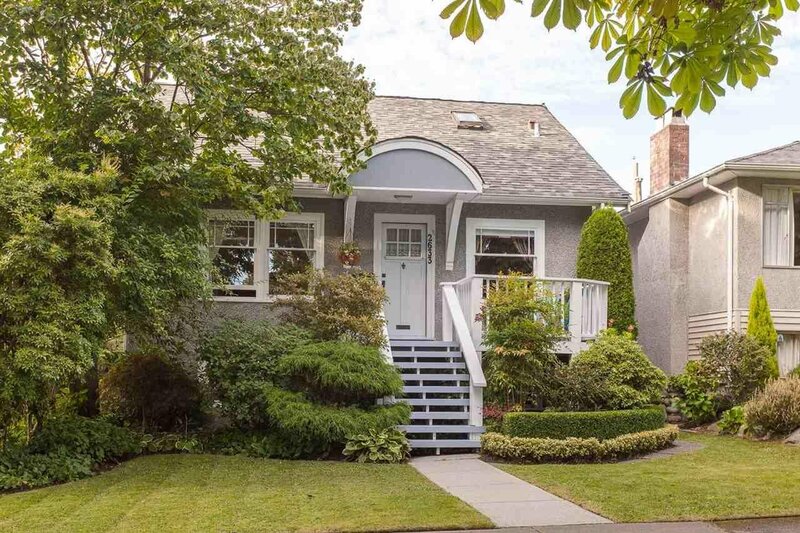 Quick access to downtown and UBC.